A very strong maternal side to this cow with the added frame of A241 giving a unique package. The dam Dream E158 was purchased from Vermont and is by Right Time 2700 out of Dream Y301. E158 was sold in the 2014 female sale and has 32 recorded progeny. 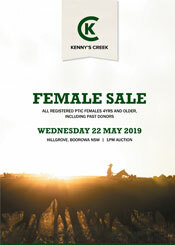 K338 is a daughter and past donor offered in this sale. H808 is a full sister to G544 who was used in the herd and is out of the same cow as J62 a bull also used. Sold pregnancy tested in calf to Baldridge Beast Mode B074 with an AI male fetus.